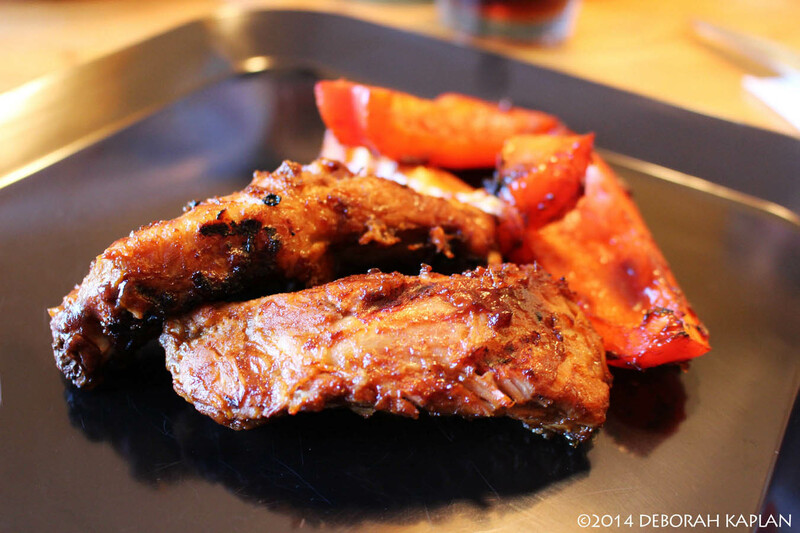 Tender pork ribs that they will rave about. I started cooking ribs this way back in 1979. We have tried many other methods, but we always come back to this way. Funny thing, is DH would always get all of the credit from our family and friends, as he was the one they actually saw grilling the ribs. In reality, it was a team effort, as I did everything up to the grilling. Over the last several years though, he has taken over the whole job, and now truly is the one responsible for the perfectly cooked ribs. And the beauty of this method is you can use your favorite sauce (We use Jack Daniel’s Honey Smokehouse). Cut the racks so each rib is an individual piece. (We like the sauce coating each rib totally). Bring 3 quarts of apple juice to a boil. Carefully, ease ribs into apple juice. Bring water back to a boil. Reduce heat to low, and cook ribs for 90 – 100 minutes. Remove from stove and drain. Place the individual ribs into a container with a tight-fitting lid and pour the 1-cup of barbecue sauce on top of the ribs. Remove lid for about 15 minutes to allow them to cool a bit, then place the container in the refrigerator for 4 hours, turning the container over 1-2 times. Grill ribs on medium high – high heat (we use gas), for 5 minutes. Then turn them, coating them if needed with the reserved barbecue sauce, or use the sauce in the bottom of the container. Grill the ribs on the second side for an additional 5 minutes. I’m going to have to give your method a try. They sound delicious. They are excellent, if I don’t say so myself LOL! Our travel buddies always request my ribs when we go camping with them. As you can make them the day before, as it doesn’t matter how long the sauce is on them before grilling, just adds more flavor. Sounds awesome Debby! Did a copy and paste, come long weekend … new to us ribs!! I can attest to his tasty these are! We’ve been eating them as long as I can remember. Would always look forward to summer so we would have these ribs and Jersey corn!